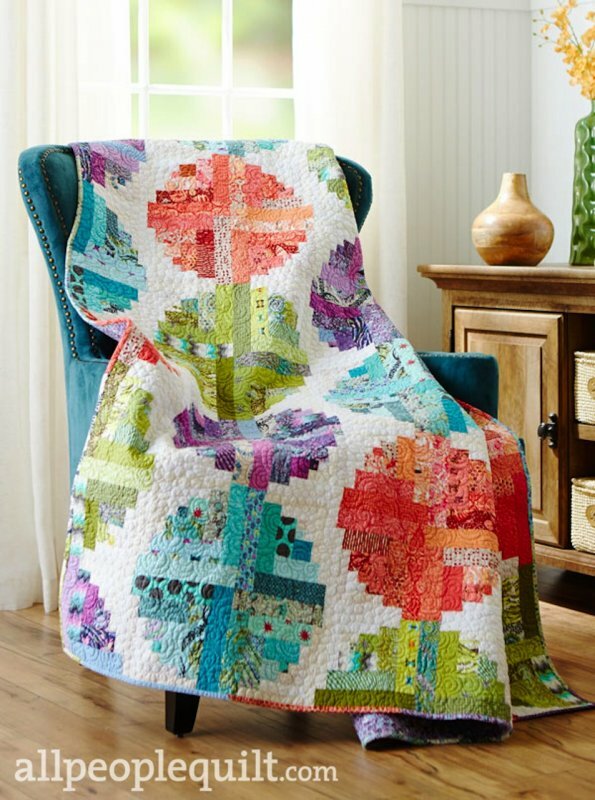 Offset circles created by uneven Log Cabin Blocks form strands of colorful "beads" in a 75" x 90" Quilt. Bead fabrics are from assorted collections by Tula Pink for Free Spirit Fabrics including Fox Field, Acacia, Salt Water and The Birds and the Bees along with other Tula Pink Fabrics. Includes fabrics for quilt top and scrappy binding. Does not include backing. Designed by Kathy Hamada. 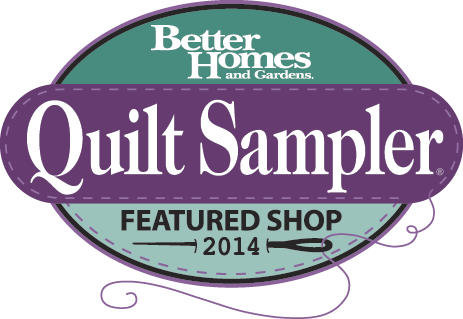 Used with permission from Quilt Sampler® magazine. ©2014 Meredith Corporation. All Rights Reserved.